Balasubramanian will hold a free public artist talk at 7 p.m., Sept. 4, at the Chapman Foundations Recital Hall in the Ent Center for the Arts. An interactive demonstration of “Rogue Objects” will take place Sept. 13 and 14 at the Heller Center for the Arts. They will be involved in discussions Sept. 8 and 9 at the Heller Center as part of a larger discussion on “Colorado Queer Arts: Local and National Intersections.” Registration for each of those events is available through UCCS Presents. Balasubramanian will work with UCCS and Colorado College faculty members and students during their stay to further develop “Rogue Objects.” Their work as a writer, game designer and immersive theater maker has included performances on more than 160 stages across North America and Europe. Previous performances include The Public Theater, Museum of Modern Art, Andy Warhol Museum and Metropolitan Museum of Art. The visit is the fourth collaboration between the UCCS Theatre Company, the theatre academic program within the Visual and Performing Arts Department, and the Public through the Devised Theatre Initiative. The program allows two UCCS students to travel to New York City in January for internships at the Public related to work already done at UCCS the previous semester. 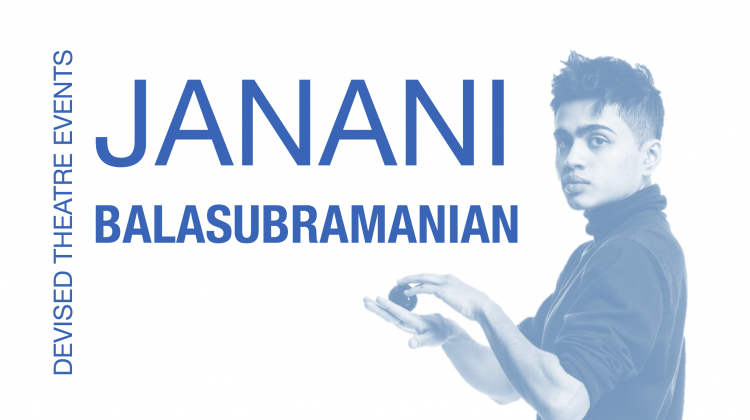 Balasubramanian’s visit is also the first in a series of events by the UCCS Theatre Company during the fall 2018 semester to highlight and study the works of LGBTQ+ artists. Future events include Prologue and Town Hall events, and a panel on gentrification, arts and housing in collaboration with the Colorado Governor’s Office.